Well… hospital waiting room is the primary thought. There is plentiful wine and drinks at least, token food, and the most sterile atmosphere I’ve ever seen I think! The wine is drinkable… But the environment itself is just so sterile. 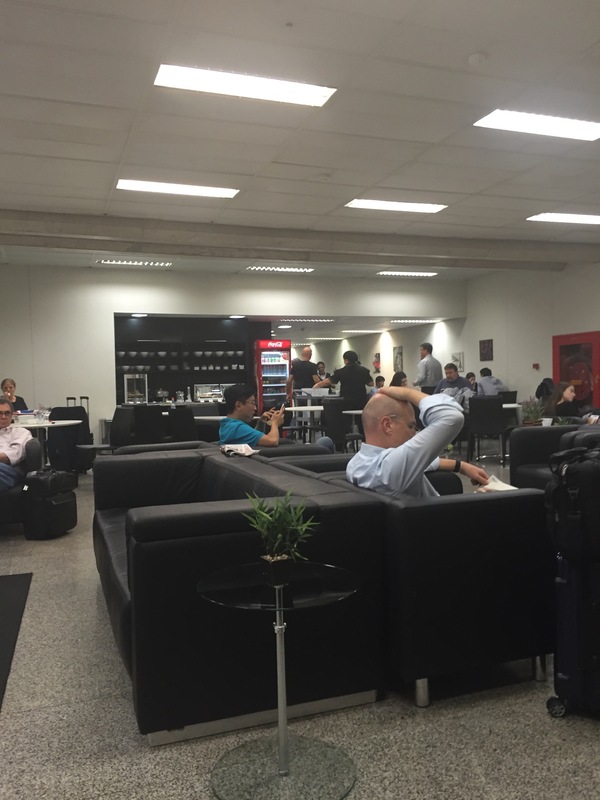 Exposed concrete walls, seats with their springs gone… I used to say the ProAir lounge in T1 used by BA/Iberia wasn’t great. In comparison it is fantastic! Not got much else to say! 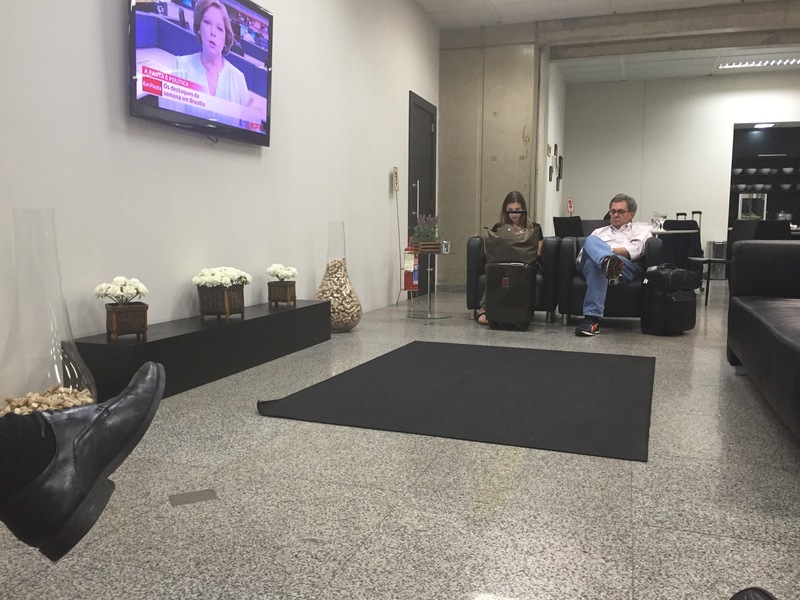 Lufthansa business uses the other lounge at T1… I’m not sure what that is like! 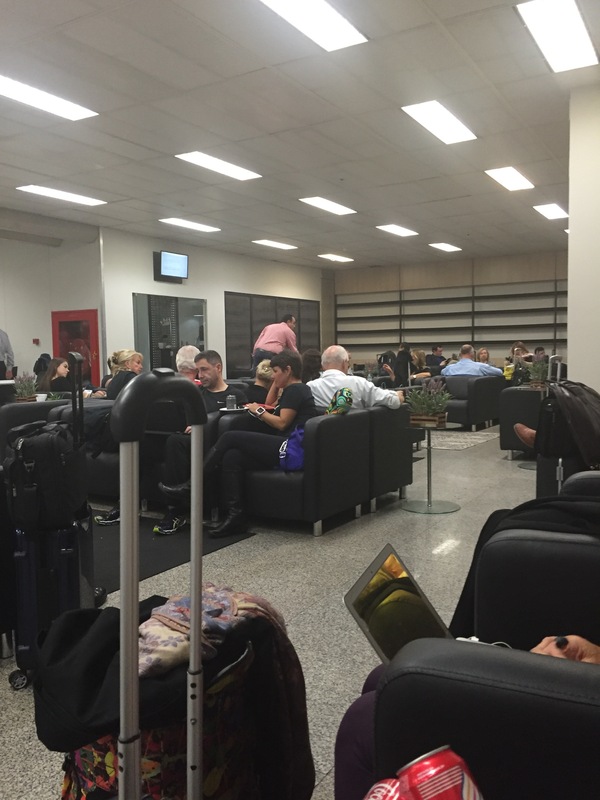 The second lounge also welcomes Priority Pass, but I think it was accepted in this lounge too.